If I didn’t know any better I would have thought that Rise of the Guardians was made specifically to make me happy. A film featuring some of history’s greatest childhood legends, Rise of the Guardians was a beautifully animated, action-filled, cleverly written film. I will admit that other than my parents, I was the oldest person in the theater but I in no way thought the material was too childish for me, in fact at times it got quite dark. Though this film features a number of different characters, the main character is Jack Frost (Chris Pine). A young man who awoke one day as Jack Frost with no memory of his past and no sense of his purpose in life. Existing as a legend that nobody believes in, jack Frost can create snow storms and ice but no human can see him. To be seen, Jack must be believed in. The film’s true plot beings with the film’s villain, Pitch Black (Hugh Grant), starting his plot of revenge. Also known as the boogieman, Pitch is tired of being forced to live under beds in the shadows. Spreading fear and terror through nightmares, Pitch means to create a world where he can rule supreme and only one thing stands in his way: the Guardians. Made up of Santa Claus (Alec Baldwin), the Tooth Fairy (Isla Fisher), the Easter Bunny (Hugh Jackman) and the nonverbal Sandman, the Guardians are called together by the Man in the Moon whenever the children of the world are threatened. Pitch poses enough of a threat to not only gather the Guardians but to chose a new one to join their ranks, Jack Frost. Reluctant to join, Jack is pulled into the battle against Pitch when it may lead to some answers about his past and his purpose in life. Even with the added power of Jack Frost, the Guardians struggle against Pitch who has prepared for their intervention. Doing more than just striking fear into the hearts of children, Pitch also attacks each of the Guardians. He attacks them physically but more important mentally, taking great lengths to destroy children’s belief in the Guardians which saps them of their power. To defeat Pitch, Jack must trust himself to be a Guardian and the Guardians must pull their power together to defeat Pitch. This film was beautifully animated, filled with creative landscapes and incredibly detailed characters. Seeming to be more realistic then cartoony, the expressions and faces on the characters were crafted with exceptional detail and skill. The landscapes mirrored the detail of the characters and overflowed with creativity. The film’s plot traveled to the North Pole, the Tooth Palace and the Easter Bunny’s home. Each new place was a fully developed environment crafted to fit the personality and legend of each guardian. The visuals continued to impress as the film moved into some fairly impressive battle scenes. Santa whirls around with blades while Pitch summons waves of black, nightmare dust. Jack Frost summons waves of ice and snow and the Sandman attacks with an endless supply of golden sand. The battles will leave those that crave action satisfied; especially if a fantasy style of fight floats your boat. Ultimately the visuals are what make this film but the writing and idea is extremely clever as well. I had high hopes for this film going into the theater and I was more than happy with what I saw. 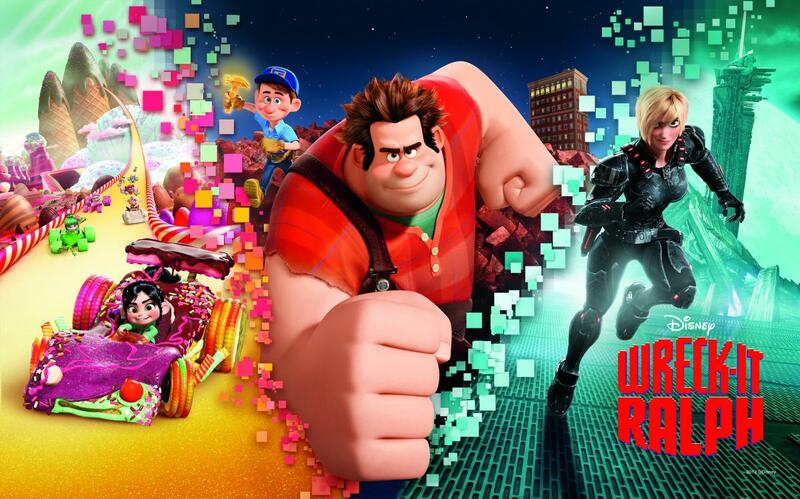 Spectacular visuals accompany a clever story line to create a film that is fun for all ages. With enough comedy to keep children happy, the jokes are not so immature that they overtake the plot of the film. I cannot stress enough how clever this film was, tying together a number of different great characters and genres. My only complaint about the film was that you could tell it was made for 3D. I didn’t see it in 3D but the camera was wild the entire film, constantly moving in an almost dizzying fashion. Other than that I thought this film was stunning and a blast to watch. I give Rise of the Guardians a 7 out of 10 and hope that they will rise again. For the second novel that has ever been reviewed on this blog, I have decided to go with an odd book from an odd author. It doesn’t really need to be said that Steve Martin is a very talented man but a lot of people don’t know how talented. A brilliant actor, Martin has also written a number of screenplays. He is a mind-blowing banjo player and, hence this blog post, he is also an accomplished author. The novel I read is Martin’s most recent novel, Object of Beauty. Though it wasn’t written in my favorite style, the novel was well written, focused mainly on an eccentric non-artist trying to make her way in the art world. The novel is written from the point of view of a young man who writes articles for art magazene’s named Daniel. Though he is the narrator, the book barely focuses on Daniel. A few of the 68 chapters are about Robert but most of them focus on the novel’s main character, Lacey Yeager. A beautiful young woman who can use her charm to get the best of any situation, the novel looks at Lacey’s rise through the art world. She starts in a back room at an art gallery, working her way up to owning her own gallery and leaving a trail of broken hearts in her wake. The novel chronicals not only the events of Lacey’s rise to success but also the way she gained knowledge about art. Investing, collecting, taking risks and even breaking the law, Lacey plays her way through the New York Art world, taking everything she can from it before it is done with her. There are a number of characters in the novel but none get nearly as much attention as Lacey. Other gallery owners and art collectors make appearances, most starting as Lacey’s superieors and ending up as her friends or partners. The most noteable is Barton Fink, a man who seems to have unwavering faith in Lacy. Other characters include Lacey’s lovers which could be artists, buyers, sellers, police officers and even the novel’s narrator. One of Lacey’s lovers becomes prominent enough in the novel to be considered a main character. Patrice Claire is a character that lives in Europe and falls madly in love with Lacey almost immediately. A wealthy man, Patrice travels from Europe often simply to see Lacy though it is sometimes under the guise of other business. Desperately trying to foster a close, meaningful relationship with Lacey, she does not get as entangled in the relationship as Patrice hopes. Oddly enough for a book about art there are not many artist characters. The only real artist character that makes much of an impact on the story is a man named Pilot Mouse, though that isn’t how we are first introduced to him. This novel is written in a very interesting manner, not following the classic structure of building to a final climax. The novel seemed to follow more of a wave pattern, introducing elements that caused confilcit but resolving those elements long before the novel’s end. One would expect the novel to be humerous considering it comes from the mind of Steve Martin but that isn’t exactly the case. There are some amusing moments in the novel but they were subtle and not exactly laugh out loud. The writing style contained a sense of wit but a wit that boasted Martin’s intelligence as opposed to his humor. Martin either has a great knowledge of the art world or did a lot of research before writing this novel. Tha pages are filled with art theories, information on artists and analyses of different paintings. Often when a painting was mentioned, it appeared in the novel, a picture of it taking up half or three quarters of the following page. This novel offered a unique look at the art world, an aspect of it that isn’t always portrayed in films or novels. My favorite aspect of this novel was the fact that I feel like I learned something from it. The book features a number of intellectual passages about not only art but also about the buying and selling of art. Overall, I thought the book was very well written, it just wasn’t written in a format that I enoy. I appreciate the skill that went into writing the novel, I just found it to be a little dry and lacking overall conflict. The story was character driven, I just wanted a little more. I give Object of Beauty a 5.5 out of 10. It’s an interesting novel that anybody with any interst in the art world should enjoy. Over the weekend, after much waiting and anticipation, James Bond returned to the big screen in Skyfall. After rumors that the franchise was going to die after writers’ strikes and studio closings, Skyfall had a lot to prove. Hearkening back to the classic Bond we all know and love, Skyfall steps up to prove that the James Bond franchise is not dying, in fact is has been brilliantly resurrected. The theme of Skyfall can be summed up in two words: revenge and resurrection. While these two themes can often weave together, they do battle with one another in Skyfall. In the opening scene of the film, James Bond (Daniel Craig) is betrayed and left for dead by the MI6 head M (Judi Dench), putting 007 out of the field and off the grid for three months. A direct attack on MI6 pulls Bond back into the fold, pitting him against ex-MI6 agent Raoul Silva(Javier Bardem). Also betrayed and left for dead by M, Silva is dead set on revenge, attempting to attack M’s job and life before actually killing her. Armed with a list of the true identities of undercover MI6 agents, Silva destroys the reputation of MI6 as well as M herself. While Silva guns to destroy M, Bond does everything he can to save her, taking him around the world on an adventure worthy of being a Bond film. 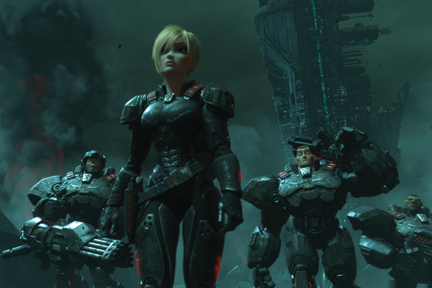 Resurrection and revenge battle each other throughout the film, represented by two betrayed agents. M gave the orders that resulted with both James Bond and Raoul Silva being left for dead. Though both were left for dead by the same woman, the two agents handle it differently. Silva dedicates his life to revenge and dedicates each and every resource he has to destroying M. Bond on the other hand chooses a path of resurrection. Attempting to rise up and become the 007 he once was, Bond dedicates each and every resource he has to protecting M. Revenge and resurrection do battle throughout the film and I’d venture to guess that you know what wins. With Casino Royale and Quantum of Solace, the franchise started to stray from the classic Bond structure. Casino Royal was an outstanding film and can easily stand on its own merit but when you break it down, its not classic Bond. Quantum of Solace, written during the writers’ strike, strayed further from the structure, playing out more like a Rambo movie as opposed to a Bond film. Skyfall brought us back to the classic Bond structure I’ve been thirsting for. Daniel Craig proves what a bloody brilliant Bond he is, walking through the scenes with the swagger and confidence of James Bond. Visiting exotic locations, battling impossible odds and charming any woman into bed, Daniel Craig seems to come straight from the pages of Ian Flemming with martini in hand. We are even given some insight into Bond’s childhood in this film, letting the audience stick one foot in the door to James Bond’s past. The film has more classic elements than just a classic Bond. The villain is a sadistic genius complete with endless henchmen, a secret fortress and a facial deformity. Classic characters return including a new Q (Ben Whishaw) who was my favorite part of the film. Playing off the age difference between Q and Bond, Whishaw gives the character a dry, witty edge that blends perfectly with the film. Ralph Fiennes plays Gareth Mallory, sent to determine if the double O division is outdated. Naomie Harris appears in the film as a provocative field agent who works with Bond in a number of different scenes. Skyfall is a melding of classic Bond and a new era. The content, dialogue, theme, story and direction of the film all work together to prove that the classics still work, there just needs to be a well placed, modern twist. As the film ends, it becomes clear that the Bond franchise isn’t going anywhere. In fact, is has just rebuild its crumbling foundation. I give Skyfall an 8.5 out of 10 and already can’t wait to see what adventure James Bond goes on next. When I came up with the concept for this post a week ago, it was much broader. I thought it would be a brilliant idea to write a post ranking my five favorite concepts from Doctor Who. I thought this idea was brilliant until I sat down and actually considered what I was trying to do. First off, I am in the middle of watching my seventh season of Doctor Who, which means I have seen 81 episodes not to mention 4 specials. Beyond that there are twenty-six seasons of Doctor Who that ran from 1963 to 1989 that I haven’t even seen. With those two thoughts in mind I decided it was time to narrow down my search to a single Doctor. Luckily, when it comes down to picking a single Doctor to focus on there is no doubt in my mind which one to pick: the best one. So here it goes, my favorite five concepts from episodes featuring Doctor Who’s Tenth Doctor, David Tennant. Concept: Time Windows- Not only did I find the concept behind this episode to be quite brilliant but it also lent itself nicely to yet another devastatingly amazing Doctor Who episode endings. The episode in question places the Doctor on a disabled ship with no sign of any crew. What the Doctor does find are time doors that take him back to the 18th century bedroom of Madame de Pompadour, known as Reinette (Sophia Myles). The episode focuses on the Doctor attempting to save Reinette from the clockwork men but the concept I want to highlight here are the time windows. The Doctor finds a number of different time windows, each one that leads to a different time in Reinette’s life. The Doctor is without control of when he can see Reinette or how much time has passed for Reinette when moving from window to window. SPOILER ALERT. This brings us to a devastating end of the episode in which the Doctor promises to take Reinette with him only to return through a time window to find that she has died in the six years since his last visit but it only seemed like moments for the Doctor. Concept: The Clone Wars- This entire paragraph is going to be one big spoiler because what I find to be fascinating about this episode is what the audience finds out at the very end of the episode. This episode brings the Doctor, Donna Noble and Martha Jones to the center of a battle between humans and a group of fish creatures called the Hoth on another planet. According to both sides the war has been going on for centuries, involving generation after generation of Hoth and humans. They are able to continue the lengthy battle because they have the ability to clones themselves. Towards the end of the episode, the Doctor figures out that the war had only been going on for seven days. The two sides have killed each other and cloned their ranks so many times that the war’s past had gotten confused and muddled, turning into war of mythical length and proportion. Concept: The Vashta Nerada The concept in these episodes that I really liked was the villain in the episodes, the villain that inspires the two-part episode’s line “count the shadows.” The villains are the Vashta Nerada, things that go bump in the night. The Vashta Nerada are generally found in forests, living in the shadows. They are carnivorous, minuscule creatures that group together and disguise themselves as shadows. This allows them to latch onto and hunt their prey. If you have two shadows, the Vashta Nerada have already marked you for death. These inventive creatures made for a great villain. Concept: The Weeping Angels- Believe it or not, it is only occurring to me now that the top three concepts on this list are actually villains (there’s a little hint about number one). The second best concept in all of David Tennant’s time as the Doctor is the Weeping Angels. One of the first episodes that does not focus on the Doctor, the Doctor and Martha must coach Sally Sparrow (Carey Mulligan) through her encounter with the Weeping Angels. Beings that the Doctor believes to be almost as old as the universe, the Angels are stuck in a quantum lock. Basically, the Weeping Angels can never be seen. Whenever somebody or something looks at an Angel, they must disguise themselves as stone statues. When not stone, so when nobody is looking at them, the angels are impossibly fast, incredibly strong and have the ability to transport a person through time with just a touch. The only way to combat them is to make sure that somebody is looking at them at all times. Don’t blink. Concept: The Repeater- In this episode The Doctor and Donna are on the planet Midnight doing a little bit of sight seeing. Midnight is a planet with conditions such that no living creature can survive on the surface. Turned into a tourist attraction, Donna choses to spend a day at the Spa rather than accompanying the Doctor on a three hour train ride to a waterfall. On the way to the waterfall, the train is attacked by an unknown creature I have come to refer to as The Repeater. Somehow breaching the train, the Repeater takes over the body of a passenger named Sky Silvestry. Trapped on a train until helps arrives in an hour, unable to leave the car, the creature begins its attack. Beginning by having Sky’s body mimic the passengers movements, the Repeater went on to repeat what everybody was saying, locking onto the Doctor after a while. The time it takes for the Repeater to repeat the Doctor’s words shortens until suddenly, the Repeater is speaking before the Doctor. Somehow throwing words into the Doctor’s mouth, the Repeater remains in Sky and forces the Doctor to repeat whatever she says. Not only is this villain extremely terrifying, it is perfect for this episode, easily turing the train’s passengers against one another. We are travelling back to 1932 today to take a look at the fourth film to win the Oscar for Best Picture. 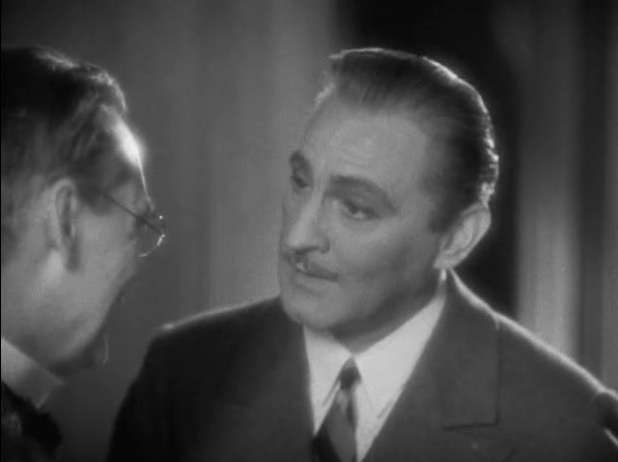 The film is titled Grand Hotel and featured some of the biggest names in classic cinema. For a lot of people that probably isn’t a big deal but for me it was the first time I have seen some of these actors and actresses. This was the first time I had witnessed the talents of Gretta Garbo, Joan Crawford or John Barrymore. The film was surprisingly enjoyable and full of a number of crazy and vivid characters. The film all takes place in one bulding, the Grand Hotel in Berlin. The story begins by introducing six different characters with six different stories and then allowing those stories to intertwine and interact. At the start and end of the film, one of the characters referred to as the Doctor gives us the famous quote “The Grand Hotel….always the same. People come, people go. Nothing ever happens.” This quote serves as a way to describe the film as a whole, though we don’t realize it until the very end. The film begins by showing a car pulling up to the Grand Hotel and then by allowing us to hear one side of a phone conversation from each main character. These conversations allow the audience to understand each character’s reason for staying at the Grand Hotel. 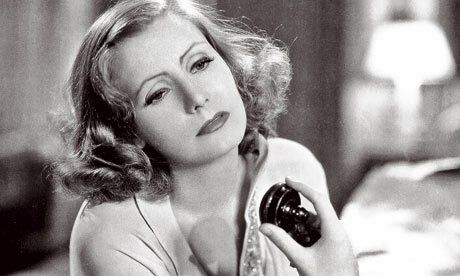 •	Grusenskaya (Greta Garbo)- a famous ballet dancer in town for a number of different shows. A tempermental dancer who seems to be losing her appeal with the public, Gru is generally not happy. After a dance, she finds the Baron hiding in her room and though he admits to trying to steal her pearls, the two fall madly in love and plan on running away together. •	The Baron (John Barrymore)- The Baron has been sent to the Grand Hotel to steal Gru’s pearls. An extremely charming character, the Baron befriends nearly everyone he meets including Mr. Kringelein and Flae. 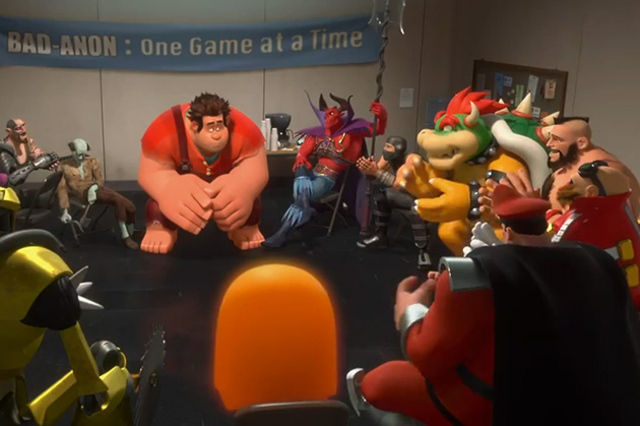 After instantly falling for Gru, the Baron abandonds his quest to steal her pearls and embarks on a quest to gain enough money to run away with her through cons and thievery. 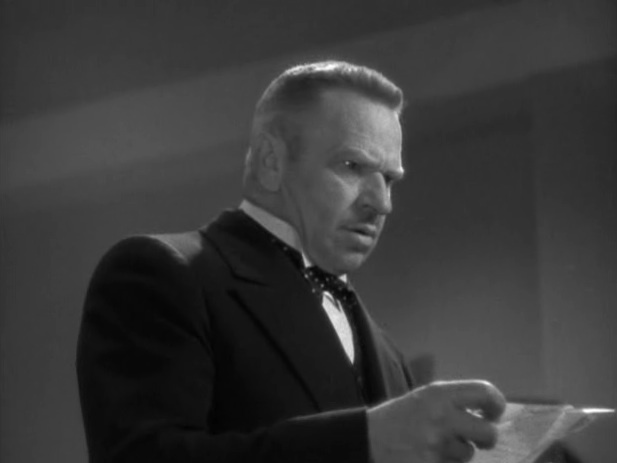 Though he is a theif and a con artist, the Baron has a conscious, not coning good people like poor Mr. Kringelein, out of their money (during the course of the film at least). The Baron ends up attempting to steal from General Director Preysing resulting in disaster for both of them. •	General Director Preysing (Wallace Berry)- owner of a large textile company, Preysing is desperately trying to merge his company with another. The only way the merger will go through is if Pirsing gets the business of yet another company. Hiring Flaemmche to compose messages for him, Preysing desperately tries to get the company’s business as well as make the merger go through. 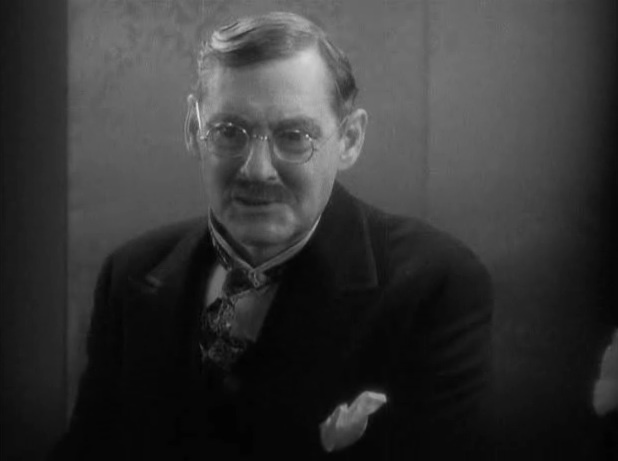 •	Mr. Kringelein (Lionel Barrymore)- a man who has worked in Preysing’s textile factory and saved money all his life, Mr. K has recently found out only has weeks to live. Dead set on living as lavishly as possible for the rest of his short life, Mr. K is going out in style by spending the rest of his money at the expensive Grand Hotel. A simple man, Mr. K befriends the Baron and Flaemmche, not believing that someone as sophisticated as the Baron or as beatufiul as Flaemmche would ever like him. Mr. K is, in my opinion, the best character in the film. Lovable and happy just to live the rest of his life in happiness and around people, Mr. K’s happiness seems to permeate and infect most of those he comes in contatct with. •	Flaemmche (Joan Crawford)- a young woman trying to get by, Flaemmche jumps at the chance to type for Preysing and to be put up at the Grand Hotel. Spending her free time living it up in the lavish hotel, Flaemmche meets both the Baron and Mr. K. Beocming a friend to both and helping the Baron with his problems, Flaemmche ends the film trying to help Mr. K live the life he deserves. Overall I found this film to be wonderfully enjoyable. The acting was outstanding, introducing me to some fabulous actors and actress I have never before seen on screen. The directing was a prime example of classic directing. Edmund Golding played with shot composition, shadows, light and camera angles to tell a story with the camera as well as dialogue. After explaining the role each chatacter has in the film, you may think I was crazy to say the Doctor’s quote describes the film. As the film ends, all the characters leave the Grand Hotel to go on whatever new adventures they have placed or face whatever consequences await them. As the characters leave, another car drives up and a whole new group of characters enter the hotel, prompting the Doctor to repeat the same quote. Nothing ever happens to the Grand Hotel, it just continues to house different guests, spit them out and then house more. I give this film a 8.5 out of 10. It easily proves that one shouldn’t jump to judge a film just because it is old. In fact, this film was better than some of the recent Oscar Best Picture winners that I have seen.